In 1992, we set out on a corporate journey to offer global-standard residential solutions for the discerning home buyer as well as turnkey solutions for Indian and International clients. Today, as we complete two decades of excellence, we have developed more than 6 million square feet of built area including homes, offices, technology parks, malls and hospitality projects in Western and Southern India, and have clients such as Wipro, Sasken, Pantaloons, SAP Labs and Toyota, to name a few. In all projects, we set out to deliver cutting-edge concepts, allied with professionalism and meticulous attention to detail that exceed expectations. As a result, our body of work - from value-for-money apartments to ultra-luxury, city-centre lifestyle apartments to Retail, Hotel and Campus type developments - has been repeatedly awarded and nominated by industry associations including CNBC AWAAZ CRISIL for the CREDAI Real Estate Awards. We’ve also been widely credited within the industry for having set new benchmarks in quality, even by our peers. Bangalore is replete with examples of landmarks developed by Vaswani Group, all of which are optimally located yet, miraculously, minus the noise and pollution. The list includes luxurious apartments, garden flats and penthouses with private terraces, townhouses (a concept we first introduced in the city), and projects with luxurious homes with internationally styled amenities and facilities.With our apartment projects, we bring together a combination of luxurious high rise apartments, garden flats and penthouses with private terraces. The Villa/townhouse projects combine luxurious villas/townhouses spread over extensive tracts of land with internationally styled amenities and facilities. 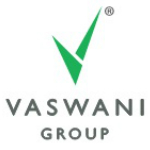 In fact, it was Vaswani Group who pioneered the concept of “Townhouses” also known as “Row Houses” in Bangalore.